The study explored the potential value and viability of an interest narrative (questionnaire) in terms of its psychometric properties and by comparing it with a commonly administered (positivist) career interest questionnaire. Participants were 159 boys and 183 girls, mean ages were 17.87 (males) and 17.41 (girls), SD (males) = 1.63, SD (females) = 1.70. In the first phase, four provinces were selected purposively: one urban and three rural or semirural. Secondly, a stratified random sample of schools was selected, divided according to medium of instruction (Afrikaans/English) and area (urban/rural area). Data were collected and analyzed using both qualitative and quantitative approaches: trustworthiness, assessment-reassessment consistency and intercorrelations with the Rothwell Miller Interest Blank (Hall, Halstead & Taylor, 1986). 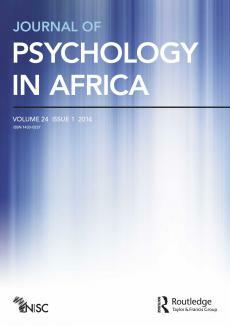 The CIP yielded satisfactory results with regard to, inter alia, trustworthiness, assessment-reassessment reliability and intercorrelations with the RMIB, and provides psychologists with a useful instrument for the identification of interest profiles of Grade 11 learners in South Africa. « The Role of Identity in Self-Regulation: When Do Students Cope and When Do They Commit?